UAE’s Mohammed bin Rashid Space Centre (MBRSC) has selected Emirate Air Force pilot Hazzaa Al Mansoori to fly to the International Space Station (ISS) aboard the Soyuz-MS 15 spacecraft in September. 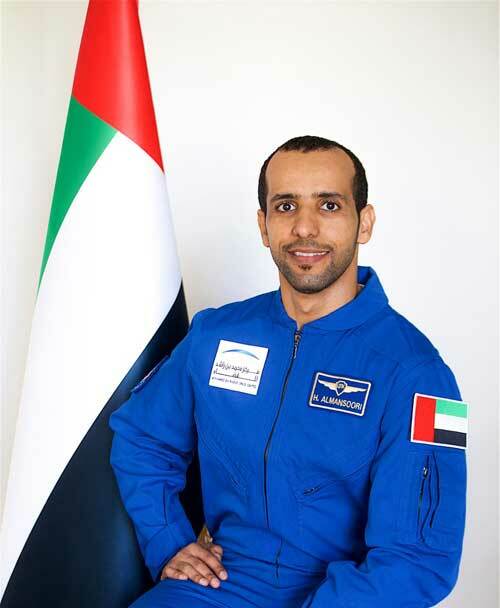 Al Mansoori will become the first Emirati in space. Sultan Al Neyadi will serve as backup astronaut for the 8-day mission. Both men have been undergoing months of training at the Yuri Gagarin Cosmonaut Training Center in Star City, Russia. Al Mansoori’s mission includes 15 students experiments that will be selected via MBRSC’s ‘Science in Space’ competition. A graduate of the Khalifa Bin Zayed Air College, Al Mansoori is a functional check pilot for the F-16 fighter. “He was one of the first Arab and Emirati pilots to take part in the Dubai Air Show’s celebrations of the 50th anniversary of UAE Armed Forces,” the official UAE news agency WAM reports. “He also presented a show on the UAE National Day 2017 and the 50th anniversary of UAE Air Force 2018. Al Mansoori and Al Neyadi were selected from among 4,022 applicants who applied to the UAE Astronaut Programme.